Pioneers in the industry, we offer wheat bran pellet and wheat bran from India. 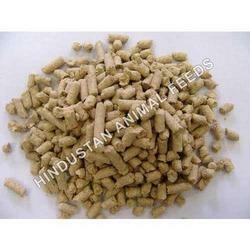 We are experts at processing the finest quality Wheat Bran Pellet. Our clients value us for prompt delivery within the stipulated time frame at industry leading prices. This range is formulated from hygienically cultivated cereals, pulses, soy meat and other related vegetarian ingredients. It is rich source of carbohydrates, sand silica and essential vitamins and minerals. We package it in tamper proof, air-tight packages so that their natural quality can be retained for a prolonged period of time. Our clients can pay through 100% Wire Transfer. We are Manufacturers, Exporters and Suppliers of 100% Animal Feed Wheat Bran in Coarse Form and Fine Mash Form. We can supply 200 MT to 250 MT of Wheat Bran on per day basis.